It was a big match to watch and as like a final of Champions league as well. Though it was a friendly game but huge audience attained in stadium to enjoy this game. Definitely, the Citizens was in under pressure in this day against the most powerful football club of Germany. As Der FCB was the favourite of this game and attack more and more times as well. Manchester city goalkeeper was much more active on this day and saved few of shots in target. Only goal of this game scored by Ozturk on 76 minute. 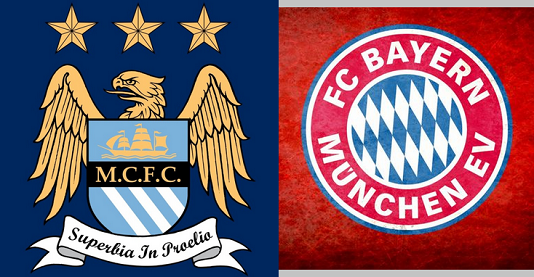 Man City traveling Germany this weekend to play their first pre season with Bayern Munich ahead of the new campaign. It is the first game of Pep Guardiola for Man City against Der FCB where he had worked last three season. Pep set the Man city line up very carefully against his former club where he has already compiled some extensive move like Nolito and Ilkay Gundogan for his new club. His attempt for the Wednesday match to repeat his supreme gaming style in a unique . Manchester City: Joe Hart (GK) Sergio Aguero (FW), Vincent Kompany (DF), Pablo Zabaleta (DF), Nicolas Otamendi (DF), Bacary Sagna (DF), Bruno Zuculini (MF), David Silva (MF), Oleksandr Zinchenko (MF), Nolito (FW). Previous performance of Man City: Last time The Citizens faced of Swansea City on 15th May which result was embarked as drawn by 1-1. The 8th May result against Arsenal was also drawn of 2-2 score. Let’s have a look the previous performance at a glance. Previous performance of BMU: The German Bayern Munich club widely grabbed the match against Lippstadt 08 by 4-3 score. They also defeated Hannover 96 by 3-1 goals. The match against B Dortmund finished with penalty shoot of 4-3 score which is won by the The Bavarians. Here the past statistics of five match. To watch the last performance it can be mentioned that Bayern Munich last performance is too good than Man City club. There have no lost record fond of The Reds statistics. On the other hand The Sky Blues last performances was not so good. They have not able to grab a single win on their last performance. Let’s watch what happen, to know about the match detail be connected with us.